"I get new business all the time from my website and online program. $300 job this week and a couple new customers every month. Now, I do get a couple of tire kickers from time to time but usually it is solid new customers that spend money which is what I am looking for. My website is working for me." - Mike, owner of S & G Transmission and Auto Repair in Vero Beach, FL. It has been an absolute pleasure working with Marion, Jessica, and Alec! They are knowledgeable - not just about websites, but the automobile industry, too. They are fast, efficient, and so easy to work with. I never thought I could get such a professional website so quickly, for so little money. I sure wish I had found them years ago. Highly recommend! L Emmons of East David Automotive in Kettering Ohio with 5 Star Google Review of JASPER Website Program. 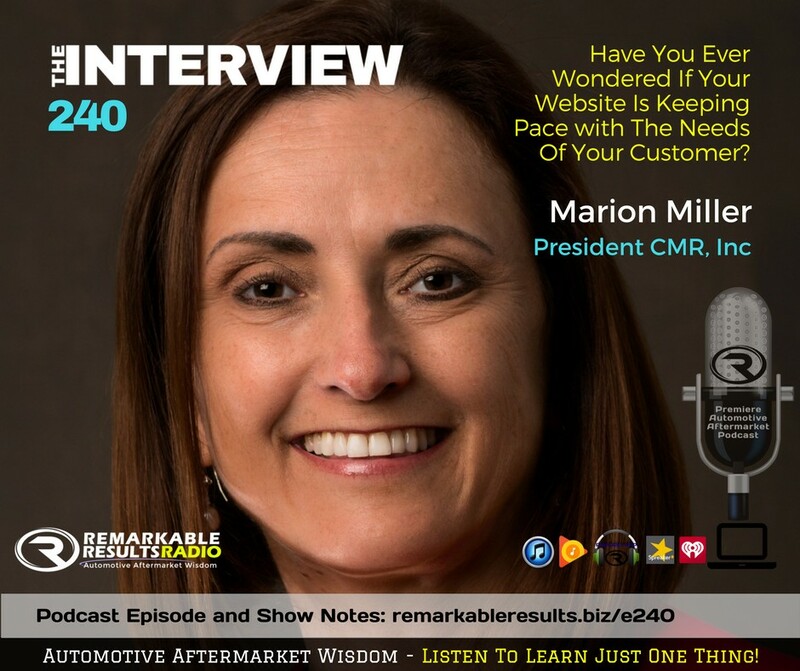 "With what my website and the team at JASPER Websites-CMR are doing for me I don't think I could stand any more business. They do a great job!" - Kenny Barkley, Owner of Permian Basin Transmission, Inc in Odessa TX. I had to move my shop abruptly after more than 35 years to a new location with no prior warning. It was rough at first getting our business to grow, but I followed the advice of the team at JASPER websites and we are on PAGE ONE of Google! We did it affordably and effectively. - Thank you, Jim Davis Owner of C & D Automotive in the Keller area outside Ft Worth Texas. You have done such a good job on my website that I have not had to speak to you about changes in months! Thank you. Otto N. Gramajo of Advanced Automotive Center in Oakhurst California. Amazing results! They answer the phone and build relationships -- not just take your money. Great and recommend them. - David G.
Marion and Jasper Websites are great! - Mike G.
Excellent knowledge. Marion has great demeanor and shares her knowledge without talking down to anyone. Awesome! - Michael M.
Some of the best websites on the net! - Paul D.
Marion does a great job. She loves what she does. It has been a pleasure working with her and her work has helped, and continues to help, my business a lot. - J.D. Marion and her crew are amazing! My website is so professional, and my online presence has sky rocketed! I love the updates on Facebook and now have so many amazing reviews. I could not have done this without Marion's help! I love talking with Marion on the phone because she has so much positive energy and great ideas. I can tell she loves what she does! Thank you, Marion! - Dawn B. We are exceptionally proud to announce that SOGGDA, the Southwestern Ohio Garage & Gasoline Dealers Association Inc has chosen CMR, Inc. & it's JASPER Website program to be their EXCLUSIVE Website Vendor Partner. This association has proudly served their members since 1948 and having another heritage program recommend us to their member garages is an honor and a commitment to excellence that we do not take lightly. Their members can expect the same innovative ideas and programs that our JASPER shops have come to expect. They will soon find out that picking up a phone and talking to our team is EASY, changes are EASY, and websites are supposed to be functional and EFFECTIVE.